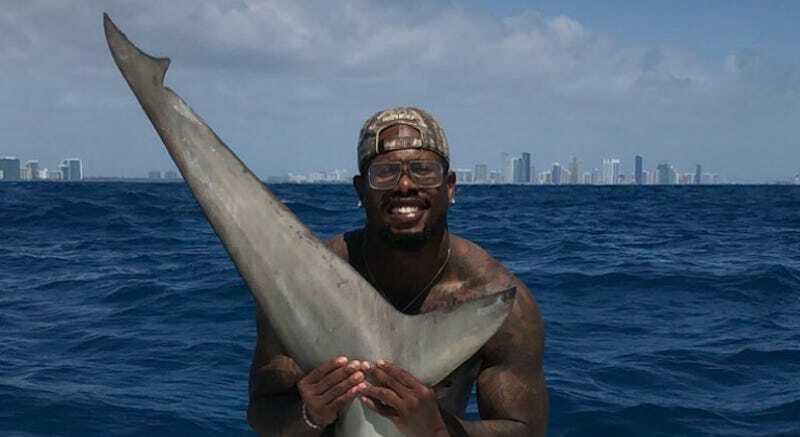 Broncos linebacker Von Miller is reportedly under investigation by the Florida Fish and Wildlife Conservation Commission after his boating trip last week off the coast of Miami resulted in a photo of Miller holding a bloody hammerhead shark. Harvesting hammerheads in Florida waters is a misdemeanor, but Miller says the shark didn’t die and he released the animal after pulling it onto the boat. Make your own judgement on whether the shark’s dead, but we can all agree that it’d rather be anywhere else.